Mother's Day is celebrated differently all around the world. 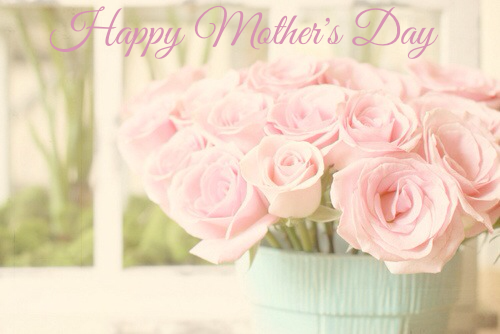 In Australia Mother's Day falls on Sunday, 11 May 2014. However, in Poland it takes place two weeks later, on 26 of May. I was just wondering that maybe as long as I'm living here I should "celebrate" both of dates and make my Mom double happy! I think it makes sense and I'm pretty sure it will make her smile! Caring is sharing in both the good and during those not so good times as well, being able to to open up and talk frankly, be there to listen, lend a helping hand, comforting, celebrating, inspiring, enjoying, and appreciating each others company; so as to make other person feel happy by putting a smile on their face. Cherish the people who care about you! "When you thought I wasn’t looking"
And I wanted to paint another. And I knew that little things were special things. And I believed there was a God that I could always talk to. But that it’s alright to cry. And it made me want to look that pretty too. And I wanted to be everything I could be. I looked . . .